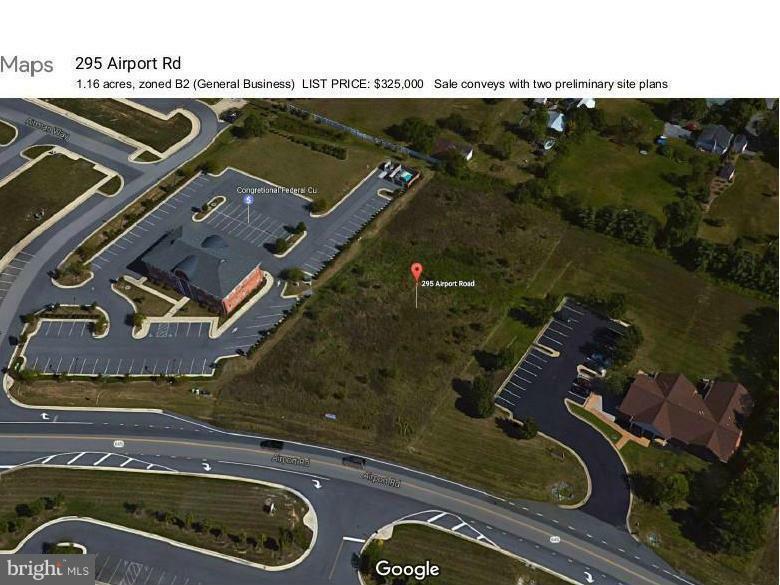 COMMERCIAL DEVELOPMENT LAND FOR SALE; FREDERICK COUNTY, VA. 1.16 acres, zoned General Business (B2), located 1+ mile from I-81 Exit 313, besides Winchester Regional Airport. In Enterprise Zone. Sale conveys with 2 preliminary site plans for 15K & 16K sf office buildings & architectural renderings. Public utilities to site, flat topo. Surrounded by professional office and flex. Offered at $325,000.